Courtesy of Marc Fleisher, TTR Sotheby’s International Realty. This outstanding 50-acre equestrian estate is surrounded by 3,000 acres of protected conversation area and has served as an important local and national landmark throughout the years. A semicircular treelined driveway with beautifully crafted stone bridges over a creek serves as the gracious main entrance. Built in 1792, the original homestead was expanded in the early 1800~s. Today~selegant 10,000 square foot Georgian-style manor home was designed by acclaimed Virginia architect Milton Grigg, and was constructed out of rose colored sandstone in 1938. The dramatic interior has been exquisitely renovated to include formal and informal living spaces ideal for largescale entertaining as well as comfortable family living. A dramatic two-story foyer leads to agorgeous dining room, lovely living room, great room, gourmet kitchen, informal dining/morning room and wine room. Most rooms feature exterior French door entry to the exquisite and expansive outdoor terraces and patios that take full advantage of the breathtaking scenic vistas found from every exposure throughout the home. Customized architectural and design details abound andinclude volume ceilings, elaborate crown moulding and millwork, ornamental wall treatments, exotic wood flooring, nine masonry fireplaces, and multiple sets of exterior French doors with transoms. The two upper levels boast an array of bedrooms and guest quarters and an outstanding master bedroom suite complete with his and her dressing rooms and luxury baths. In addition to the multiple bedrooms is a private office with exquisite bay window views that is a haven for contemplation and serenity. As one would expect from such a spectacular equestrian estate there are multiple out buildings including an historic 4- gabled barn, professional 16-stall stable, guest home and private office, as well as farm manager housing. The aesthetic of this incredible piece ofproperty is preserved with timeless beauty and is unmatched in its presentation. Further enhancingthe beautiful grounds is a plethora of professionally designed specimen plantings and outstandingwater features including a natural spring-fed lake and swimming pool. Conveniently located within23 miles of the nation~s capital, this fabulous equestrian estate awaits its lucky owner. Please, send me more information on this property: MLS# 1003974641 – $3,850,000 – 19001 Bucklodge Road, Boyds, MD 20841. 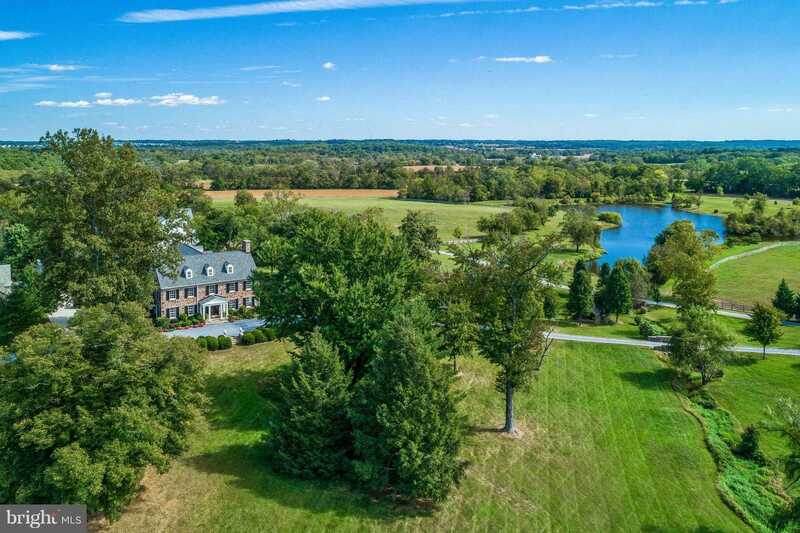 I would like to schedule a showing appointment for this property: MLS# 1003974641 – $3,850,000 – 19001 Bucklodge Road, Boyds, MD 20841.